In both pre and post-Independent India's political history, Shimla, with its once pristine beauty and splendor, is often associated with the historic July 1972 Simla Agreement. The agreement was reached between New Delhi and Islamabad following the December 1971 Indo-Pak war. That war had resulted in a second partition in the subcontinent – that of Pakistan. It was made possible by the people of East Pakistan with the active assistance of the Indian Army that eventually resulted in, until then, the largest post-World War-II military surrender (by Pakistan) to India and the formation of Bangladesh as an independent sovereign country. But the fact is that Shimla, then spelt as Simla, has been the venue of three major politically significant events. The other two events had occurred prior to India's Partition and Independence. The first of these events, which occurred 100 years ago, was the signing of the Simla Accord. Also known as the Simla Convention signed on July 3, 1914, the agreement was reached between British-ruled India, China and Tibet. The agreement, accord or convention as it is variously referred to, divided Tibet into Inner Tibet and Outer Tibet with the latter being recognised as a de facto sovereign country. 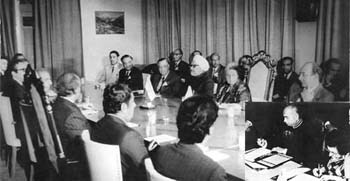 China was to recognise the autonomy of Outer Tibet and abstain from annexing or interfering in the administration of Outer Tibet among other measures. It also marked the coming into being of the McMahon Line which has been the subject of much discord between India and China. 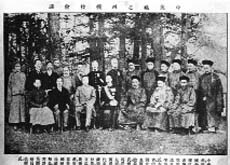 Although the Chinese representative initialled the agreement in April 1914, he walked away from the conference without signing it in July 1914 thus placing a question mark on the legitimacy of the document. Not surprisingly, the conflict between India and China continues with the Sino-Indian border remaining largely un-demarcated and therefore in dispute. 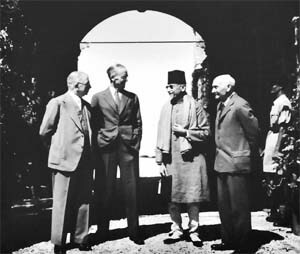 The second event, the June 1945 Simla Conference, which occurred 31 years later, also continues to have a bearing on post-Independent India. Like the July 1914 Simla Accord, this roundtable convention attended by 21 invitees and chaired by the British Viceroy of India, Archibald Wavell, had also ended in controversy. The conference, held over June 25 and 26, 1945 and attended by 21 delegates – from the Congress, Muslim League and other groupings and personalities – had been convened with the intention of forming an interim administration or a provisional national government to work under the Government of India Act of 1935. It was to be a first step in the direction of India's Independence. Excepting the Viceroy and the Commander-in-Chief, all members of this executive council were supposed to entirely comprise Indians. But the conference ran into trouble on the first day itself with the Muslim League, headed by Mohammed Ali Jinnah, objecting to the Congress nominating Muslims to the executive council. Nominating Muslims, Jinnah believed, was the exclusive preserve of the Muslim League. The Congress had nominated two Hindus and a Muslim, Parsi and Christian each in its list of five nominees to the executive council. Attempts at resolving the deadlock between Jinnah and the Congress nominee, Govind Ballabh Pant, the following day failed and so did the conference. But this conference nevertheless paved the way for the Cabinet Mission Plan of 1946, which was the first British proposal that directly admitted the possibility of Independence, which incidentally fructified a year later in August 1947. The third and, so far, last politically significant event to be held in Shimla is the relatively more recent and better-known signing of the July 1972 Simla Agreement between Prime Minister Indira Gandhi and President Zulfikar Ali Bhutto. It was a comprehensive blue print for good neighbourly relations between the two countries. Under the Simla Agreement, both countries undertook to abjure conflict and confrontation and to work towards establishing durable peace, friendship and cooperation. Most significantly, the two sides agreed to resolve all conflict bilaterally and undertook an exercise to demarcate the Line of Control (LoC) along Jammu and Kashmir. The sanctity of the Simla Agreement held for 27 years until May 1999 which is when Pakistan carried out surreptitious intrusions in the Kargil sector. Yet it was because of the legitimacy of the LoC recognised by the international community as per the Simla Agreement that helped India in diplomatically isolating Pakistan in much of the international community and assisted in restoring status quo ante. So much for Simla, now Shimla. 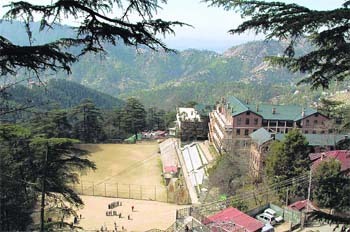 known the world over for its elite public schools, most of them over a century old, Shimla has had a fine tradition of grooming young boys and girls at its renowned educational institutions located in some pristine and idyllic locations. Being more than over 100 years old, most of these public schools have a glorious tradition and maintain high academic standards. Set up by dedicated Christian missionaries from across the world, these institutions are today a perfect blend of the old-world charm and modernity, offering ample opportunities to bring out the best in every individual. Oldest among these schools is the illustrious Bishop Cotton School (BCS) founded in the July 1859. Named after Bishop George Lynch Cotton, it is today a residential school with students from all over the world. It figures among the oldest schools of Asia. It has a sprawling campus spread over 35 acres with many facilities. Started on September 26, 1866, initially at Jutogh, the school later moved to its present location on the Knollswood spur on July 28, 1859. The painful memories of Partition are still etched in the minds of some of its alumni. "About 100 Muslim boys, led by the school captain Hasan Agah, left the school in an emotionally charged atmosphere," reminisces some old timers. The Muslim boys left from the second exit door of the school hall, which is rarely opened as it is a sad reminder of Partition. The enrolment of students is kept under 600 and the staff is carefully chosen, keeping in mind their academic qualifications and the ability to guide the students through boyhood and adolescence to maturity. The school has produced some of the finest military heads, bureaucrats, business tycoons, renowned sportsmen and film stars. Prominent among them are Ratan Tata, Ruskin Bond, Jeev Milkha Singh and Virbhadra Singh. Loreto Convent Tara Hall was started by the Loreto Sisters in 1892. It was on the request of Archbishop of Agra, Dr Van Den Bosch to provide a good education to Catholic children, that Mother Gonzaga Joyce arrived in Simla, the summer capital of the Viceroy, to plant Loreto's banner in this hill station. After purchasing the two properties of Tara Hall and Bell View, the school started at Kaithu in 1895. The school, which had girls from all over India and abroad, discontinued the hostel in 1975, and became a day school. Today, with strength of more than1,200 students, the school grooms girls into confident young women with integrity and honesty. The school recently switched over from the ICSE to the CBSE pattern, like most other convents in the town. Founded in 1866, the school initially started as the Punjab Girls School but on being shifted to Auckland House, it also changed name. Auckland House, as the name suggests, was the residence of Lord Auckland who was the Governor General at that time. The building suffered massive damage in the 1905 earthquake. It was rebuilt in 1921. The idea of starting this school was conceived by J. B. D' Aquila in 1864. The ladies' group associated of the church in Dalhousie collected funds for it. At the instance of the wife of Bishop Cotton, it was earlier housed in the Holly Lodge at Jakhu. The school, which began with 32 girls, most of them Europeans, is today a leading girls school with boarding facility. The school was started by Irish Brothers as a Catholic school in 1925 and is today the most prominent day school only for boys. On the first day of school on March 9, 1925, a total of 42 boys were admitted. The strength of the school grew though it mainly catered to the Catholic boys but others were not excluded. By March 1932, when the main school building was built, the dream of having a boarding school was fulfilled. In 1948, due to the changed situation and fear of war looming large, parents were reluctant to send their children to Shimla. This resulted in the closure of the boarding facility. Several of its students are high-ranking bureaucrats, army officers, judges, etc. Vice President Hamid Ansari is one of the most famous alumni of the school. Convent of Jesus and Mary, also known as Chelsea, was founded in 1864 by sisters of Jesus and Mary. Initially, started as an orphanage for the children of British soldiers, it later grew to become one of the most prestigious convent schools of the hill town. In 1869 help was given to the sisters to enlarge the school and the strength rose to over 150. Most of the Chelsea was destroyed in a devastating fire April 1946. The children were shifted to the adjoining Eagle Mount building as classes were held in tents in a compound lent by military. At the time of Partition almost 50 per cent of the students from Pakistan left the school. With strength of over 1,500, the school is among the best educational institution of the state. 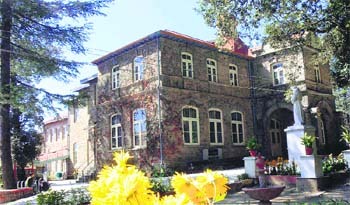 Set up in 1904, the college has a good hostel for girls and still remains a popular choice with parents. One of the star attractions at St Bede’s has been its Nursery Teacher Training Course (NTT) since 1904 as it was the first course to start here. However, now the course has been changed to JBT. The alumni have excelled and carved a niche for themselves in every field, including administration, medicine, politics, performing arts, glamour and other fields. The college has produced several politicians, including former Union minister of State for External Affairs, Perneet Kaur, several IFS and IAS officers including Meera Shankar, India’s former Ambassador to USA and former Himachal Chief Secretary, Harinder Hira and actress Preity Zinta, just to name of few.